This is my go to recipe if I just want a light snack for dinner, or an easy lunch. Avocados are just the best, and they make the perfect healthy, yet satisfying, meal. 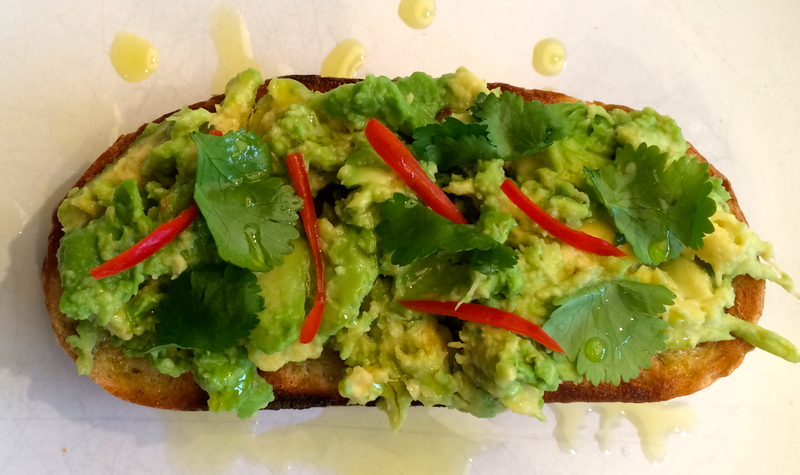 All you need is a good slice of bread (I always opt for sourdough), one avocado, some chopped chilli, a few springs of coriander, a squeeze of lime juice and some olive oil. Start by toasting the bread, and then giving it a light drizzle of olive oil. Mash the avocado, and spread it on top of the bread. Top with a few sprigs of coriander, a sprinkling of fresh chilli and a squeeze of lime. Season with salt and pepper and then tuck in! It takes about 5 minutes to put together, so it’s a really quick meal but so full of flavour. It’s also nice with some feta cheese sprinkled on top if you want to go all out!